From Bowie’s death to a debate over the shape of the Earth, here are all the crazy things that happened in January 2016. The first month of 2016 was full of big—and incredibly strange—news stories. A lot happened that your 2015 self would not have believed. Here are the headlines that spurred the most conversation, and an assessment of how believable each one is. JAN. 1, President Obama is a guest on Jerry Seinfeld’s Comedians in Cars Getting Coffee: BELIEVABLE. When asked by his advisers whether he had a bucket list of things to do before leaving the White House, President Obama responded, “I have something that rhymes with a bucket list.” Thus, his guest appearance on Seinfeld’s web series Comedians in Cars Getting Coffee marked a perfect beginning to his last year in office. As suggested by the title of the show, Seinfeld invites a fellow comedian (or in this case, the POTUS) to grab coffee in some rare, beautiful old car that only Jerry Seinfeld could have such easy access to. 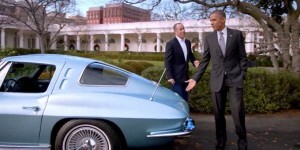 Obama’s episode featured a silver-blue 1963 Corvette Stingray and coffee made by Seinfeld himself in the White House staff break room. They talked about guilty pleasure foods, playing golf with Larry David, and which sport politics is most like (Obama said football). For any other U.S. president to agree to this gig would indeed be unbelievable. For Obama, the self-described “cool president,” it simply falls into the category of Weird But Plausible. 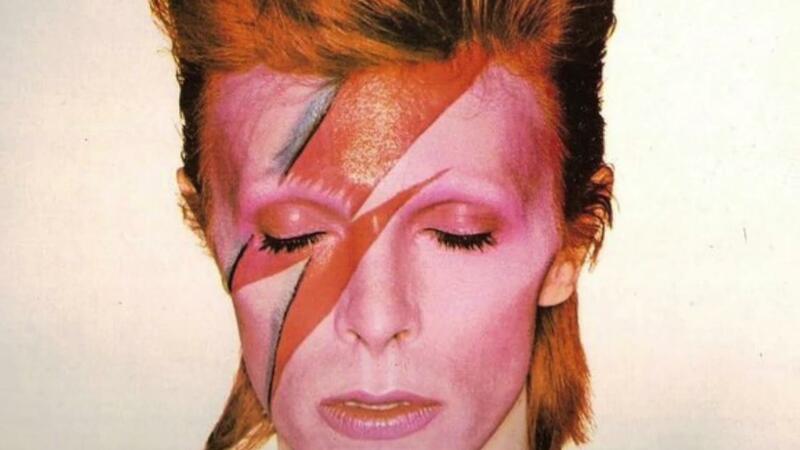 JAN. 8-10, David Bowie releases an album on his 69th birthday and dies two days later: UNBELIEVABLE. Some celebrities are so iconic that it’s hard to imagine a world without them—David Bowie was one of them. He almost seemed immortal. This was perhaps due in part to his dreamy lyrics and obsession with outer space, but mostly, it was the longevity of his career that made his passing so surreal. His success spanned decades, and he had a serious impact on multiple generations of listeners. Even more surreal was the fact that he died a mere two days after releasing his last album, Blackstar, which has since garnered critical acclaim and become the first Bowie album to reach the number one spot on the U.S. Billboard 200 chart. Along with the album he released a music video for the title track that is as creepy as it is self-aware of his approaching death. Bowie was able to knowingly document the end of his own life through his music. Frankly, I don’t think he could have found a cooler or more dramatic way to go out. Rest in peace, David. JAN. 14, Oscars announce all-white nominees for acting: BELIEVABLE. As incredibly sad (and boring) as it is that every single actor and actress nominated for an Oscar this year is white, this is by no means a new issue. Last year’s nominees for acting were also all white, and in the history of the show, people of color have won less than ten percent of the awards given for acting. The less believable—and even more infuriating—part of this story has been the response from a number of actors who don’t recognize this as a problem. Actor Michael Caine urged black actors to “be patient,” saying it took him years to get an Oscar, and that he wouldn’t vote for anyone based solely on their race. Current Oscar nominee Charlotte Rampling said the controversy over the nominations was “racist to white people.” And French actress Julie Delpy said it was easier to be an African American than a woman in Hollywood, though she later apologized for the comment. 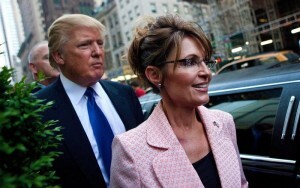 JAN. 19, Sarah Palin endorses Donald Trump’s presidential candidacy: UNBELIEVABLE. Because Donald Trump’s bid for the presidency wasn’t already rife enough with controversy, he received an endorsement last month from the woman who singlehandedly ruined John McCain’s chance to be president in 2008. A gutsy move—but what is Trump if not a headline generator? Trump and Palin share the same general set of beliefs, so it’s not a total surprise that the former Alaskan governor would be a supporter. But the sheer cartoonish-ness of her speech made this story notably weird. Palin rattled off a series of incoherent thoughts to the audience of “right-winging, bitter-clinging, proud clingers of our guns, our God, and our religion, and our Constitution,” for an agonizing twenty minutes. It was so bad that SNL barely had to change the dialogue for Tina Fey’s parody of the speech. JAN. 25, Rapper B.o.B and Neil Degrasse Tyson fight over whether or not Earth is flat; rap battle ensues: UNBELIEVABLE. I was not aware, prior to hearing about this argument, that there are living, breathing people who believe the earth is flat. I’m still reeling from this piece of information. B. o.B tweeted various pieces of “evidence” proving that the earth is flat. Tyson wrote a song in response, “Flat to Fact,” which he had his nephew rap over a Drake beat. Here we have a man who in 2016 thinks the world is flat, and a world-renowned astrophysicist who took the time to argue with a man who thinks the world is flat. I’m truly not sure which is stranger. JAN. 27, Kanye West attacks Wiz Khalifa on Twitter for literally no reason (BELIEVABLE) and then apologizes (UNBELIEVABLE). There’s not a ton to say about this one. Rapper/stoner Wiz Khalifa tweeted “Hit this kk and become yourself,” referring to marijuana (kk=King’s Kush), which Kanye misinterpreted as his wife’s initials (kk=Kim Kardashian). A sizable leap, if you ask me. Kanye then went on a seemingly endless rant insulting Wiz on every possible level, saying that no one has ever listened to a Wiz album all the way through, that Wiz stole his sound from Kid Cudi, and even that Kanye owns Wiz’s son (whose mother is Kanye’s ex, Amber Rose). Kanye is a hothead—that’s not news. But his apology for the outburst later on may be a small indication of newfound maturity. Ha! Just kidding. If this first month was any indication, 2016 is going to be a wild year.